Google’s Expanded Text Ads: 5 Things You Should Know. Google’s Adwords has been the platform of choice for business of all sizes looking to advertise on the internet. This advertising platform has evolved with time adding a few features, deleting some and providing more value for all involved. 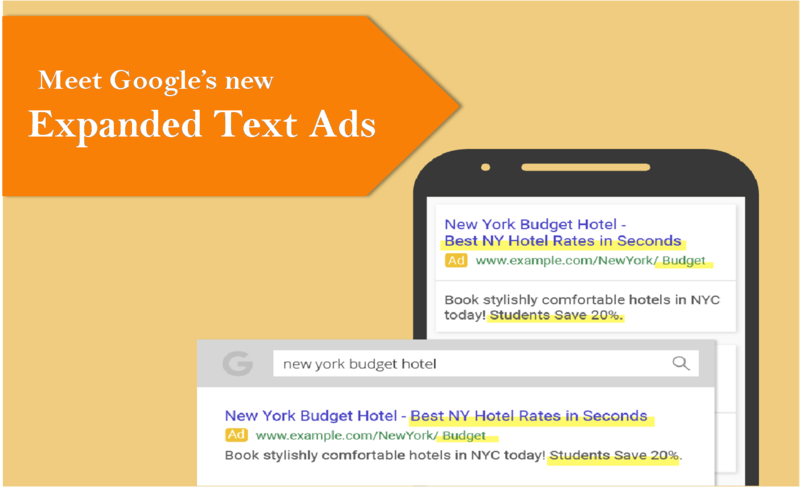 For all those interested, the newest change under way is Google’s Expanded Text Ads. What are Google’s Expanded Text Ads? Don’t confuse expanded text ads with text ad extensions. The latter is that extra information that businesses give to customers be it reviews, phone numbers, etc. The concept of Google’s expanded text ads is, simply put, more ad size. Each advertisement can now occupy more area above Google’s organic listings. Google’s Adwords interface has also expanded itself to accommodate these new features. Here are five important things to know about this new change. Right now, a related feature available only for those who know is extending the ad headline. This requires the first line of the description copy of the ad to be punctuated appropriately which combines the headline of the ad with the second line. Ads using this hack to extend the headline have been known to bring better click-through rates. In fact, longer headlines enjoy 6% more click-through rates than ads with standard headlines. With expanded text ads, this feature would be available for one and all who advertise through Google. Here the advertiser can display up to two lines of the heading. The number of characters allowed has also been increased to 30 from the existing 25. So technically, we would get taller and longer headlines, all of this without eating into the actual content of the ad. Copywriters usually find it difficult to compile their ideas into short ads. Expanded text ads give a little more leeway to creators – not enough to bore the reader but just enough to give a little more information. Currently, 70 characters is the limit. Now with Google’s expanded text ads, the description copy can be 80 characters. That’s a whole extra line for advertisers to play with. For businesses that struggle to fit their message into the given limit, this will go a long way. The Adwords display URL has also been given the growth boost as well. An advertiser can now give up to two paths in the URL with 15 characters each. A searcher can now be directed not just to the root website but also to a more relevant landing page in their website. For businesses, this means more focused and apt targeting. Research has shown that at least 50% of respondents find it tough to differentiate between paid ads and organic listings. And this number goes even higher for the younger population. Since 2000, ads had been displayed on the right side of Google’s SERP. It was easy to note which links were sponsored. From February this year, the right side text ads were removed by Google and since then ads appear only above or below organic search results. With expanded ads, sponsored results will look even more similar to organic listings. Though this system seems exciting, marketers and advertisers will have to wait a little longer. Google’s expanded text ads have not yet been launched. 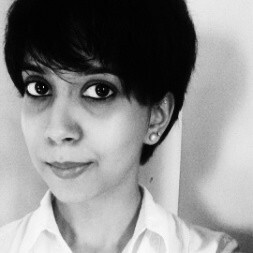 For an advertiser, cost and returns are the esteemed mantras. From this view, what does the new addition have in store? Expanded ads = more space. More space = higher visibility and in turn higher chance of readers noticing the ad. This is one additional advantage that marketers have always looked forward to – more canvas to talk about their business. There are many good techniques for reducing random clicks and optimizing your conversions. But with expanded ads, the messaging can be more detailed. Businesses will be able to convey what they are all about in a better way, thus reducing the occurrence of random clicks. What happens when the right people click the ad? The click to conversion ratio is higher. The advertiser also earns the luxury of minute targeting using the display URL. as the reader is taken to a more relevant landing page. At OnlineSales.ai, we believe that this addition can be win-win for all. For users of Google’s search engine, this would mean higher and more relevant content showing up for their search queries. For advertisers, a chance to boost returns for every penny they spend.